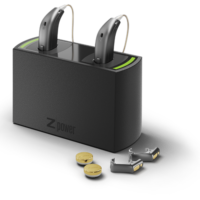 The Oticon OPN Alta 2 were released in 2015 and are Oticon’s high performance premium level devices. 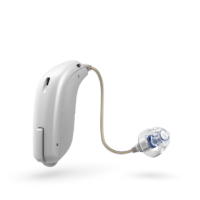 The Alta 2 models can contain all four of Oticon’s Brainhearing features which includeSpatialSound, FreeFocus, YouMatics and SpeechGuardE. 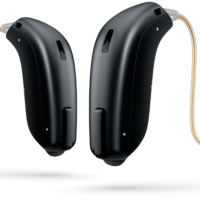 The Alta 2 is available in a number of different styles in a variety of different options including behind the ear and invisible options. Spatial Sound helps Alta 2 user’s to locate where sound is coming from in challenging environments. One of the other great features of the Oticon Alta 2 is the soft speech enhancer which improves listening in soft sound environments. The Alta 2 shell uses Oticon’s nano coating which means the devices are water and dirt resistant which is great for people with a more active lifestyle. There are also 8 different colours available so you can customise the device to suit your taste. The BTE devices also have dual button control which means you can adjust the settings and volume on the device which is great for people with dexterity issues.